Right now, today appears to be all washed up, but it will feel even more wet throughout the afternoon. 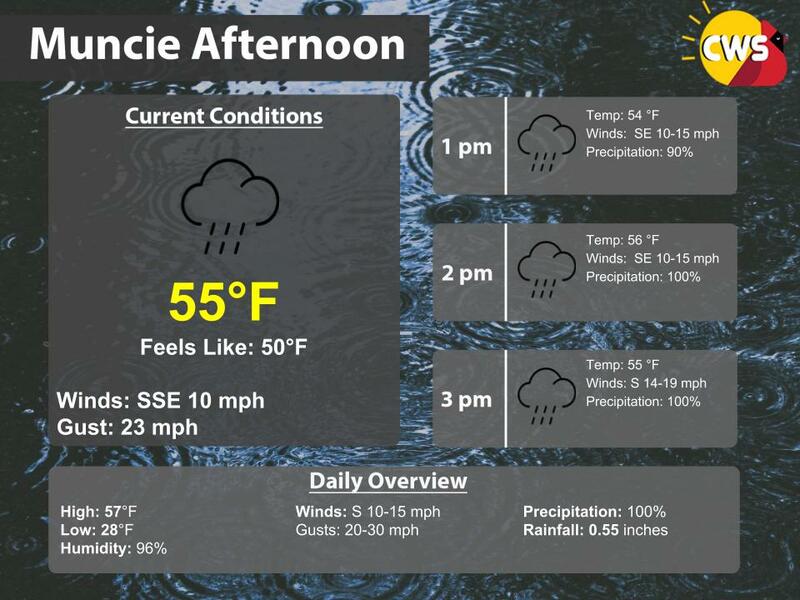 A low pressure system is pulling moisture and warm air from the southern US, leading to temperatures in the mid-50s and rainy conditions across the area. As it continues to move, we expect rain showers throughout the afternoon. Combined with temperatures remaining in the mid-50s and high humidity, expect a warm but dreary afternoon. Make sure to keep an umbrella on your person as you travel out today.